Mr Zuckerberg told Reuters in a phone interview that Facebook already complies with many parts of the law ahead of its implementation in May. He said the company wanted to extend privacy guarantees worldwide in spirit, but would make exceptions, which he declined to describe. 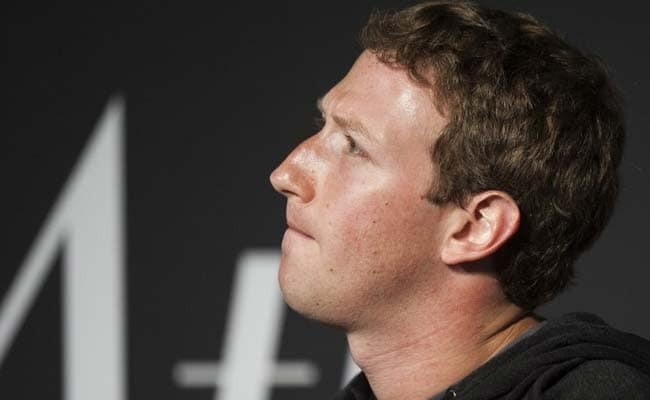 SAN FRANCISCO: Facebook Inc Chief Executive Mark Zuckerberg said on Tuesday the social network had no immediate plans to apply a strict new European Union law on data privacy in its entirety to the rest of the world, as the company reels from a scandal over its handling of personal information of millions of its users. Apple Inc <AAPL.O> and some other tech firms have said they do plan to give people in the United States and elsewhere the same protections and rights that Europeans will gain. Asked what parts of the EU law he would not extend worldwide, Mr Zuckerberg said: "We're still nailing down details on this, but it should directionally be, in spirit, the whole thing." He did not elaborate. Shares of Facebook closed up 0.5 per cent on Tuesday at $156.11. They are down more than 15 percent since the Cambridge Analytica scandal broke on March 16. Privacy advocacy groups have been urging Facebook and its Silicon Valley competitors such as Alphabet Inc's <GOOGL.O> Google to apply EU data laws worldwide, largely without success. Mr Zuckerberg said many of the tools that are part of the law, such as the ability of users to delete all their data, are already available for people on Facebook. Failure to comply with the law carries a maximum penalty of up to 4 per cent of annual revenue.